With fishing situations changing throughout the course of a season and from lake to lake, for many anglers it is absolutely vital they have the option to use pop-up hookbaits. Often these pop-ups need to be capable of holding ‘heavy’ rigs such as the Hinged Stiff and Chod Rigs in the ideal hooking position for long periods of time. You need to be confident that your rig is working correctly, which is exactly the confidence you buy with a tub of Mainline Dedicated Base Mix Pop-Ups! What’s more these pop-ups utilise the exact same liquid attractors as our extensive range of freezer baits – matching their appearance and smell in every way. Meaning wary or cautious fish will not spook when feeding within an area of these baits when seen as an established food source. 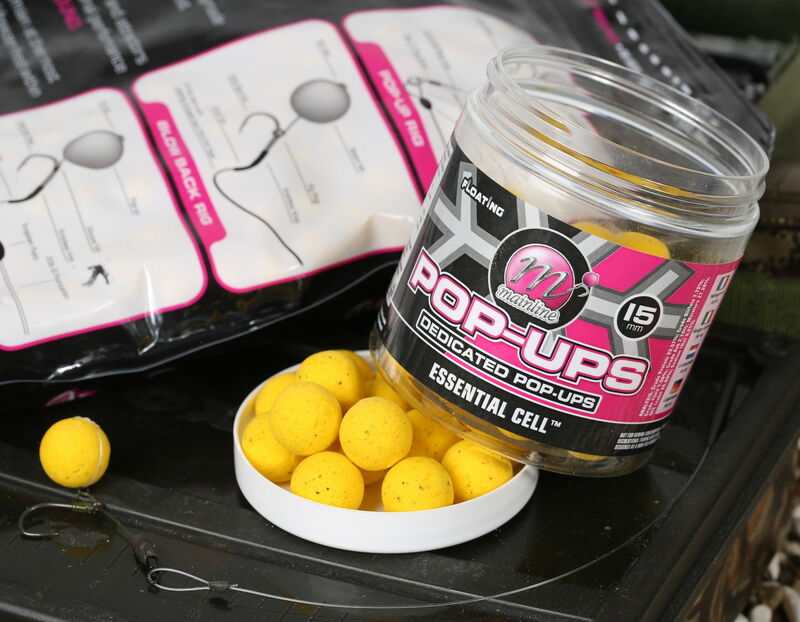 Consultants Top Tip: Dip your pop-up in Hookbait Enhancement System glug of a matching flavour before casting to increase the food signal and attraction of the hookbait.